These 2 cabinets were lovingly handcrafted and varnished from pine wood. 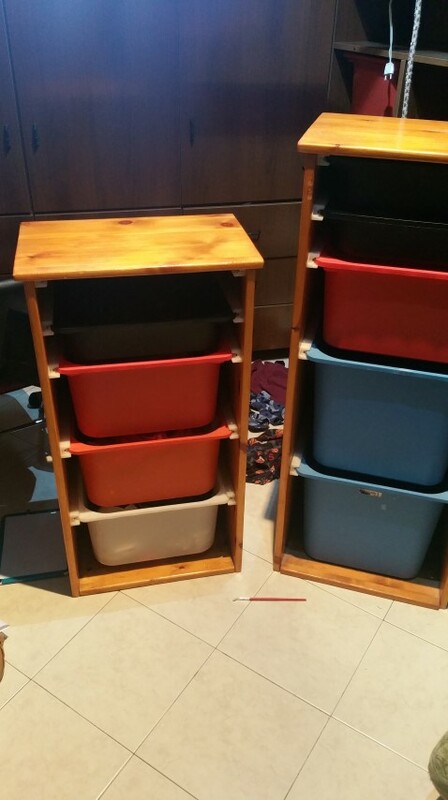 Each has multiple drawer slides designed to allow IKEA bins of various sizes to be put there. This is ideal for a child's room, allowing toys and knick-knacks to be thoroughly cleaned up and hidden when not in use while allowing the child full access by simply pulling out the bin whenever they want to use it. 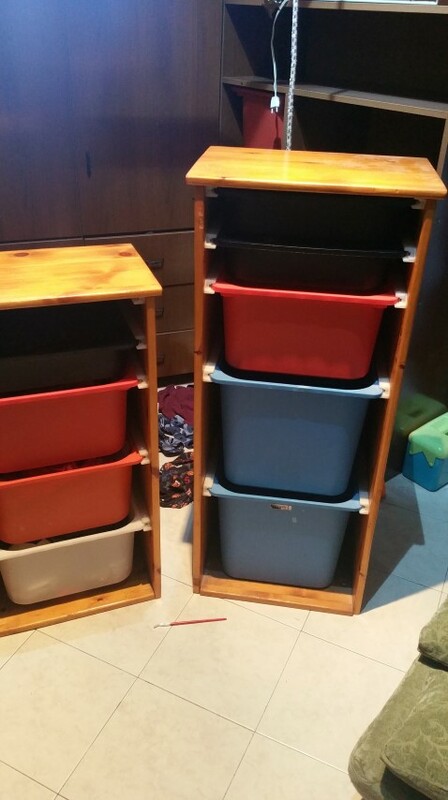 Similar items from IKEA with LESS capacity than the smaller one are selling for 7500 leke for one! Grab it quick - this won't last long!